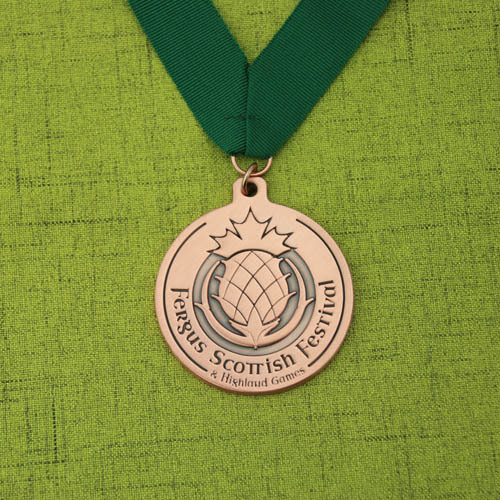 The custom copper medal features with a pineapple is for Fergus Scottish Festival and the highland games will be held during this festival. Do you know more about this game? 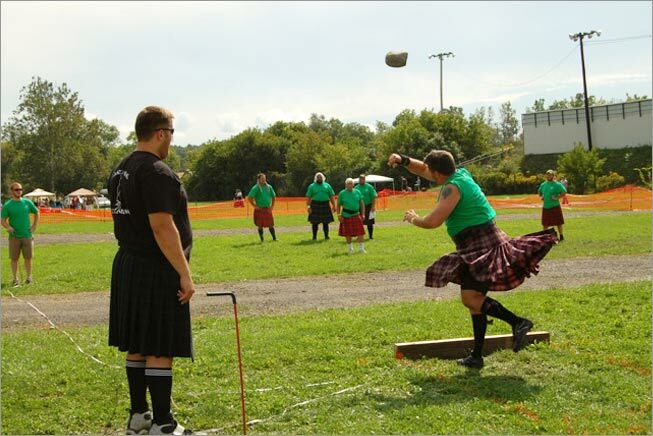 There are a number of Highland Games held through the highlands Scotland. And it’s actually a meeting in which competitions in sport, piping, and dancing etc. Sounds amazing. Right? Highland Games is founded in 1849 and it’s belongs to Scottish heritage with its arts, customs, dress, literature and national games.The Games will begin with a traditional Ceilidh. 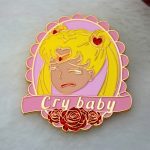 And the organization will award gold, silver and copper medals for each competitions and the above picture customer medals are made by GS-JJ.com. Highland games are events held in spring and summer in Scotland and other countries as a way of celebrating Scottish and Celtic culture, especially that of the Scottish Highlands. Certain aspects of the games are so well known as to have become emblematic of Scotland, such as the bagpipes, the kilt, and the heavy events, especially the caber toss. While centered on competitions in piping and drumming, dancing, and Scottish heavy athletics, the games also include entertainment and exhibits related to other aspects of Scottish and Gaelic culture. The Cowal Highland Gathering, better known as the Cowal Games, held in Dunoon, Scotland, every August, is the largest Highland games in the world, attracting around 3,500 competitors and somewhere in the region of 23,000 spectators from around the globe. This event is currently held on Labor Day weekend in Pleasanton, California, and their Sesquicentennial Games held on September 5-6, 2015, attracted record crowds close to 50,000. Maybe you should know, the games are claimed to have influenced Baron Pierre de Coubertin when he was planning the revival of the Olympic Games. So that’s all about the meaning of this copper medal for Scottish Festival and Highland games. 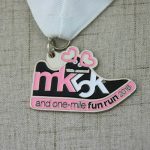 If you you interest and want to order this medal for your event, pls don’t hesitate to contact us at info@gs-jj.com. ← Have you ever thought how many people around the world like Japanese Cartoons?